If you take the Google Home Mini’s $79 CAD price into consideration, the device is an impressive smart home assistant. Sit the tiny smart speaker beside the standard Google Home standalone voice-activated assistant, though and any way you look at it, the tech giant’s more affordable, miniature offering pales in comparison. Putting the Mini in the broader context of the smart home assistant industry is an interesting task right now. While Amazon’s Echo products aren’t yet available north of the U.S. border, they’re almost certainly launching soon. The Home Mini is designed to be a low-cost alternative to the Home and a direct competitor to the Dot, which isn’t officially available in Canada — and might never be. This means that right now, the Mini sits in a league of its own in the Canadian market. 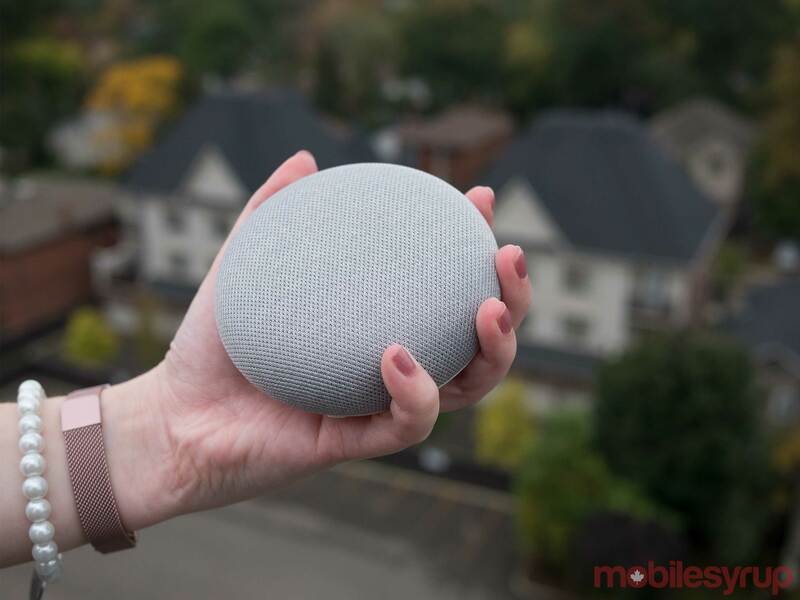 With that said, there’s a lot to like about Google’s Home Mini, especially if you’re looking for a cost-effective smart home assistant that’s actually officially available in Canada. In many ways, the Mini — which was announced alongside the Max, Google’s high-fidelity smart speaker — is a lot like its larger, higher-quality sibling, the regular Google Home. 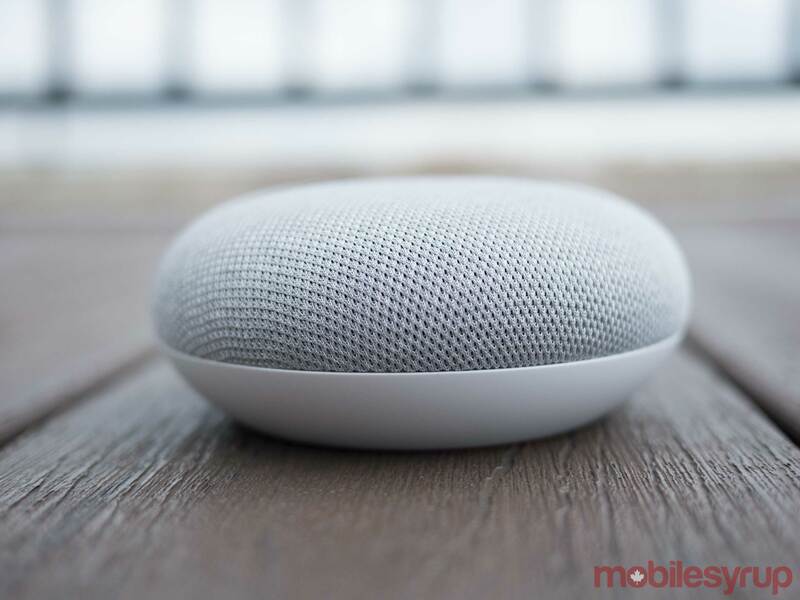 The two devices feature Google Assistant, Home app integration and smart home assistant functionality, resulting in both the Mini and the standard Home performing nearly identically in some respects. This is where the similarities between the two devices end though. While the standard Home is a moderately capable speaker in terms of sound quality as long as you don’t compare it to the Amazon Echo, the Mini is not — and this is coming from someone who does not consider themselves an audiophile in any sense of the word. 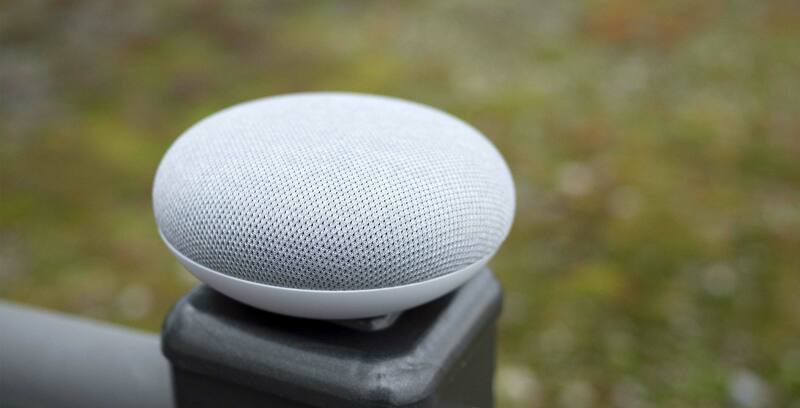 The Mini’s sound is flat, the device doesn’t get very loud and in general, music is muffled, despite the device being pitched as featuring a top-firing 360-degree capable speaker. In comparison, the Home includes three speakers that deliver muffled, but still full-sounding audio that are capable of easily filling even larger rooms. Just like the Home though, the Mini is great at playing even obscure music from a variety of services like Google Play Music and Spotify, via relatively intuitive Google Assistant-powered voice commands. As expected, the Mini isn’t compatible with Apple Music, just like the standard Home. On the plus side, the Mini’s voice recognition is identical to the Home. The tiny device’s two microphones are able to hear my voice from across the room, as well as when I’m standing directly beside it. Of course, similar to all voice assistants, I ran into instances where the Home Mini didn’t hear what I was saying, though this probably only happened three or four times in the few weeks I’ve spent with the tiny speaker. To an extent, the Mini looks like Google turned the Home upside down and then squished it down with a vice. The speaker features a fabric texture that’s reminiscent of its larger counterpart, though slightly thicker, along with a coloured matte plastic base. 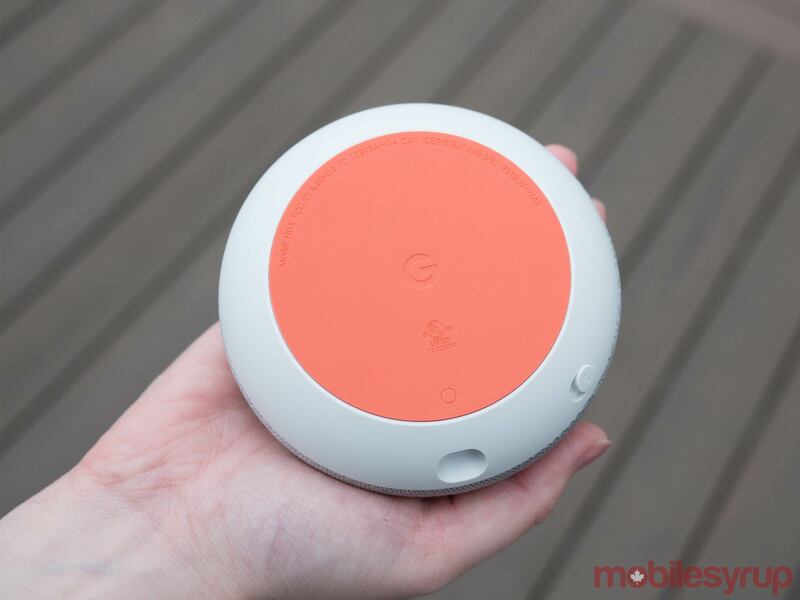 Size-wise, Google’s Home Mini sits comfortably in the palm of a hand and will blend in with the decor of most people’s homes. Its overall design is non-descript and very un-tech device like, which is refreshing in an industry full of black, glossy smart home devices. The top of the Home Mini also features contextual controls that allow the user to lower or raise the volume. When I first got my hands on the Home Mini, the speaker also featured a contextual Google Assistant activation button that could be used by tapping and holding the middle of the device; that feature has been disabled following multiple early Mini devices recording nearly everything the user was saying when they were around it. I don’t miss this feature since I primarily control the Mini via voice commands, but this is still a huge misstep on Google’s part; the company just barely dodged a potential privacy bullet. While the Mini’s play/pause button and volume inputs work adequately, they can also be frustrating at times. Many times when I tried to raise the volume the buttons were unresponsive, though the play/pause button felt more accurate. I often opted to raise/lower the device’s volume via voice commands because I found them more responsive. In one instance, a cord was touching the top of the Mini, causing its volume to fluctuate randomly. While a minor inconvenience, this is an unforeseen problem common to all touch-sensitive buttons. Four LEDs illuminate on the top of the Home Mini when giving the speaker voice commands, indicating that the Mini has acknowledged your question or command. Google’s standard Home features a similar feature — its lights briefly glow in a multi-coloured circle — but it’s nice to see the company has also carried this functionality over to its smaller sibling. The speaker also features a physical mute button on its rear that could be useful for those concerned about privacy. Slide the switch on the Home Mini and it will turn off its always-listening microphone, while flipping it back returns the device to its normal, always-listening state. The Mini does get confused if you mute it by voice but the physical button is still in the on position; you then need to flip the switch to mute and back to activate the device’s microphone again. Beyond sound quality and contextual button issues, the Google Home Mini also suffers from a few other minor problems. 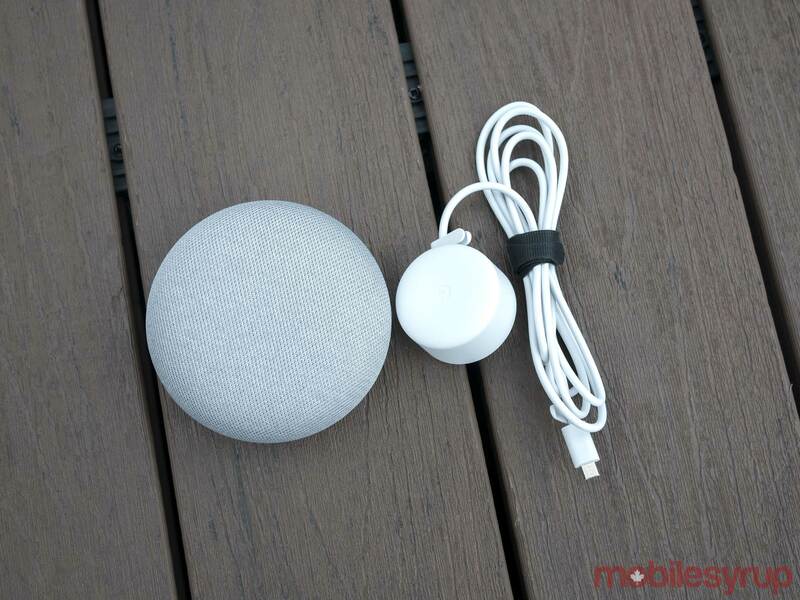 While connecting the smart speaker to Google’s Android or iOS Home app is a simple process, the fact that the Mini isn’t capable of being linked to a standard Bluetooth speaker could be an issue for some. Amazon’s Echo Dot on the other hand, can be hooked up to almost any Bluetooth speaker, making it a more versatile option. In contrast, the Home Mini can only connect to Google Cast-enabled speakers and device, just like the standard Home. This means I’m able to cast audio content from my smartphone to the Home, but not to a speaker (I don’t own a Cast compatible speaker). It’s worth pointing out that in some ways this comparison isn’t fair in the Canadian market given that the Amazon Echo Dot hasn’t yet launched here. If you're looking for a smart speaker that's capable of controlling a wide range of smart home products, then the Home Mini is a viable alternative to the more expensive standard Google Home. 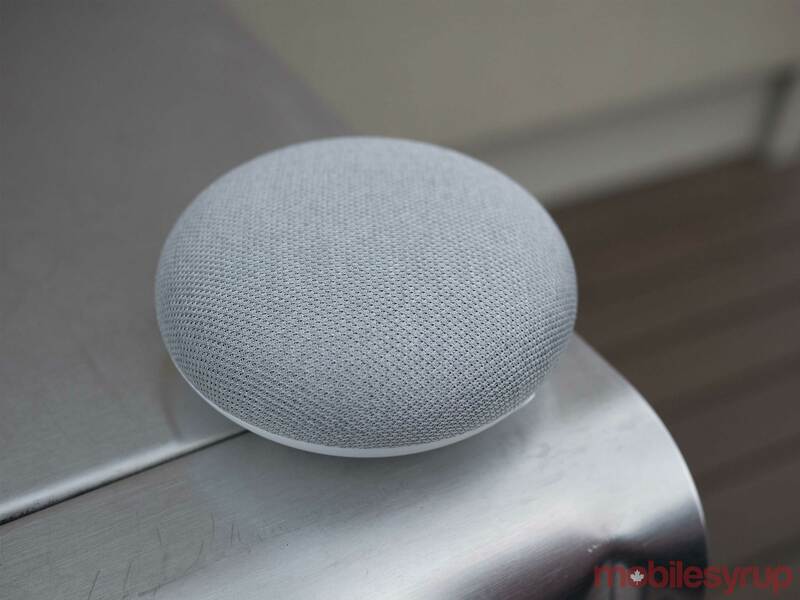 On the other hand, if you want a smart home speaker that's a solid Spotify or Google Play Music playing companion, the Home Mini's sound quality is so lackluster -- yes, even more so than the already not great regular Google Home -- it just isn't worth it. Other issues that plague the standard Google Home like a lack of Alexa and the Echo's clever 'Skills,' also remain a problem with the Home Mini, though this could change as Google continues to add new features to its line of Home devices via software updates. Still, that $79 CAD price tag is difficult to beat, especially with no other low-cost smart home products currently available in the Canadian market. The ball is truly in Amazon's court now when it comes to low-cost voice-enabled speakers. The Google Home Mini is priced at $79 in the Google Store and is available now. "If you're looking for a device that's capable of controlling your disparate smart home products, then the Home Mini is a viable alternative."